So it was time to try out the Cherry Chomper. Ummm yeah. 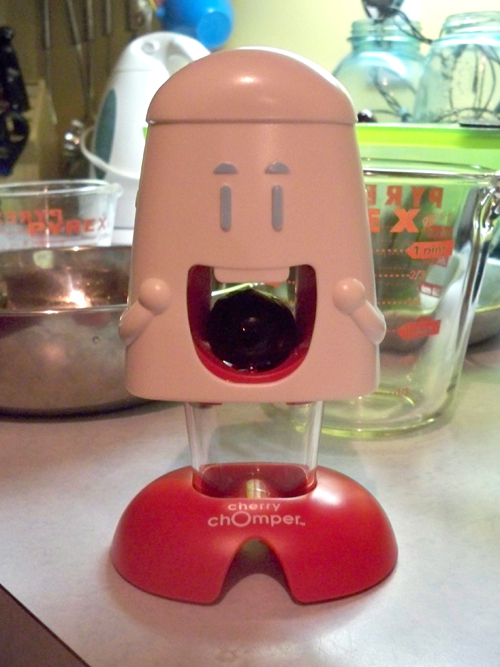 Cherry Chomper looked a little scary after 13 lbs of cherries but it did a great job. 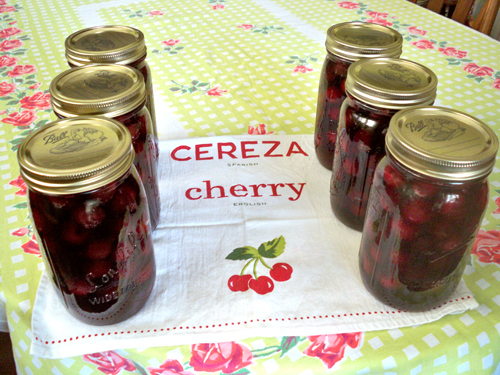 They are just packed in a light syrup so we can make cherry pie and other goodies this winter. My fingers are stained red, but it was so worth it. That second picture of the cherry chomper left me in stitches! Lori's right...he needs to make an appearance at Halloween. That second cherry chomper pic cracked me up. I agree, perfect for halloween. 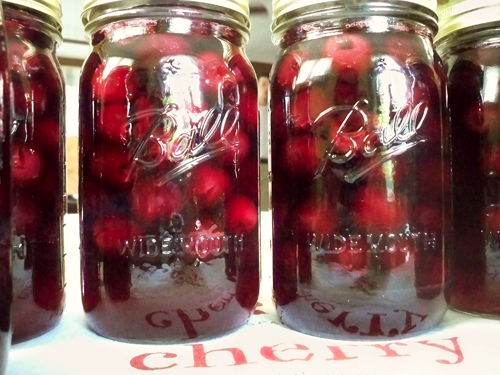 All that cherry goodness looks wonderful. yum! 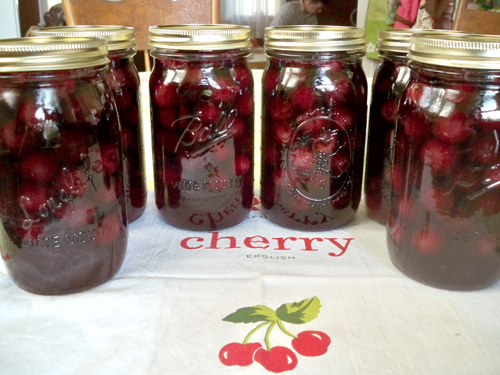 I keep thinking that I don't need the Cherry Chomper because I really don't buy enough cherries to purchase the machine to pit them. BUT I WANT IT SO MUCH. That looks so funny and so good. Looking forward to pie pictures in the winter. 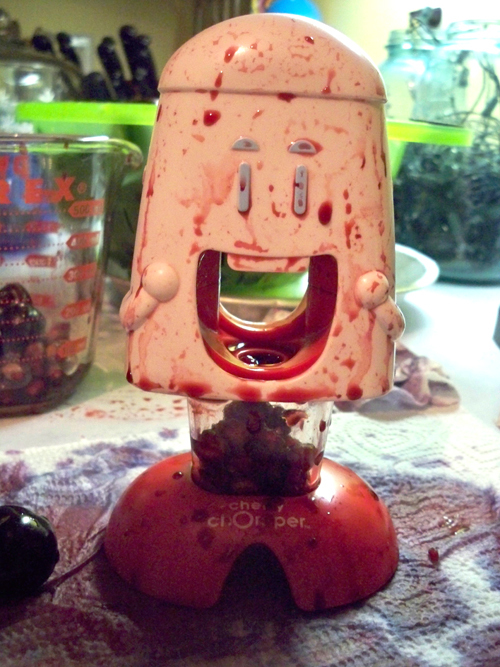 The Cherry Chomper looks like he's been to Fangtasia! Ok, that bloody Cherry Chomper picture is the funniest picture I've ever seen in my life!!!! They should incorporate the Cherry Chomper into the next Saw movie. That cherry chomper looks way scandalous !